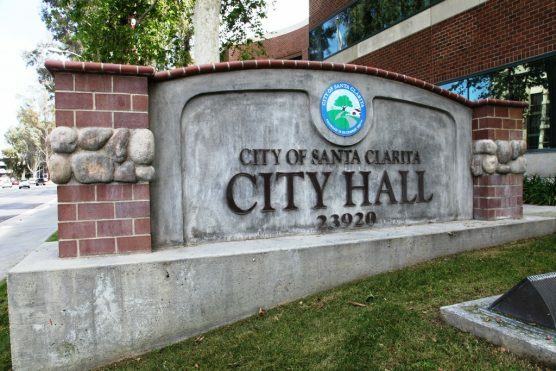 The Santa Clarita City Council will hold its regular meeting, Tuesday, at 6:00 p.m. Items on the agenda include an update of the Santa Clarita Valley Economic Development Corporation, an increase in probation services to assist the City’s Gang Crime Suppression Program and a traffic survey study. The meeting will take place in City Council Chambers, located at 23920 Valencia Blvd. Santa Clarita, 91355. On June 1, 2018, the City of Santa Clarita (City) entered into an agreement with the County of Los Angeles Probation Department to provide probation prevention/intervention services to assist in the City’s Gang Crime Suppression Program. As a part of this agreement, one Deputy Probation Officer (DPO) provides specialized probation services for the City. As a result of a rate increase, the contract has increased from $164,000 to $174,000. Establish prima facie speed limits on each roadway segment included in the Traffic and Engineering Survey Study. Easement dedication to the Los Angeles County Flood Control District for flood control purposes south of Newhall Ranch Road adjacent to San Francisquito Creek trail to maintain storm drain outlet. This action awards the construction contract for Phase I of the Canyon Country Community Center project which includes rough grading, Mint Canyon Channel and storm drain improvements, and an infiltration system. Plus awards support service contracts for biological monitoring, civil engineering, geotechnical, and tribal monitoring services. This item will award a contract for the design and construction of an inclusive play area at Canyon Country Park. Award annual heating and air conditioning maintenance services contract to Johnson Controls, Inc., in the amount of $159,600 to perform maintenance services on City-owned heating and air conditioning components. Check Register No. 02 for the Period 12/21/18 through 01/03/19 and 01/10/19. Electronic Funds Transfers for the Period 12/24/18 through 01/04/19. Check Register No. 03 for the Period 01/04/19 through 01/17/19 and 01/24/19. Electronic Funds Transfers for the Period 01/07/19 through 01/18/19.